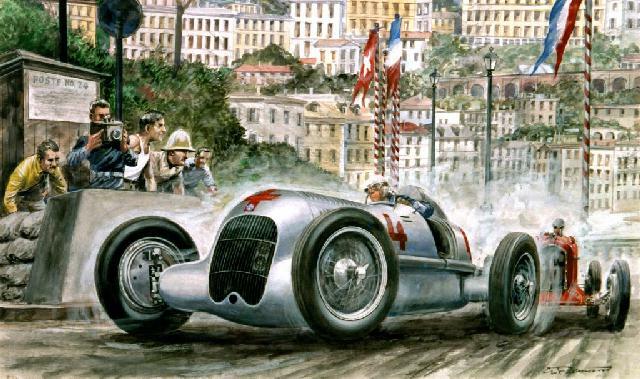 Fagioli & Dreyfus, 1935 Monaco GP. Click here for art gallery and further information. Published with permission from the estate of Carlo Demand. Demand's remaining work is available through Gary Doyle.